Ann created this drawing for the “Canine Collaboration at the Cafe” art show. 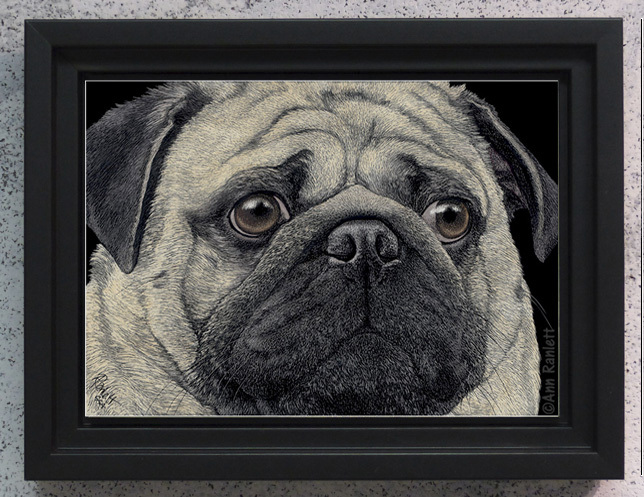 See work in progress steps for “Pugshot” in the show album. 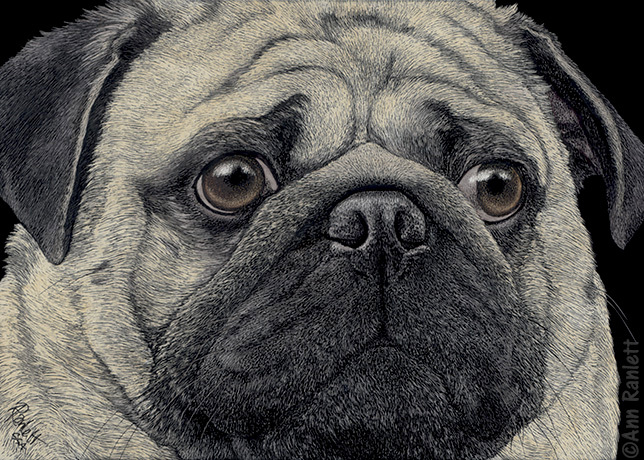 This drawing was originally part of “Pug Fusion”, a collaborative piece in the show. It’s now framed and available separately. Purchase from Ann’s Shop.